Richard Brush (Barry Murphy HT); Conor McCormack, Pat Sullivan, Derek Foran, Danny Ledwith; Gary McCabe (David Elebert 36), Richie Ryan, Ronan Finn, Shane Robinson (capt) Sean O’Connor; Karl Sheppard (Billy Dennehy 77). Brendan Clarke; Ger O’Brien, Conor Kenna (capt), Kenny Browne, Ian Bermingham; Conan Byrne, Greg Bolger, John Russell, Stephen Maher (Sean Gannon 67), Chris Forrester (Daryl Kavanagh 77); Anto Flood (Christy Fagan 67). 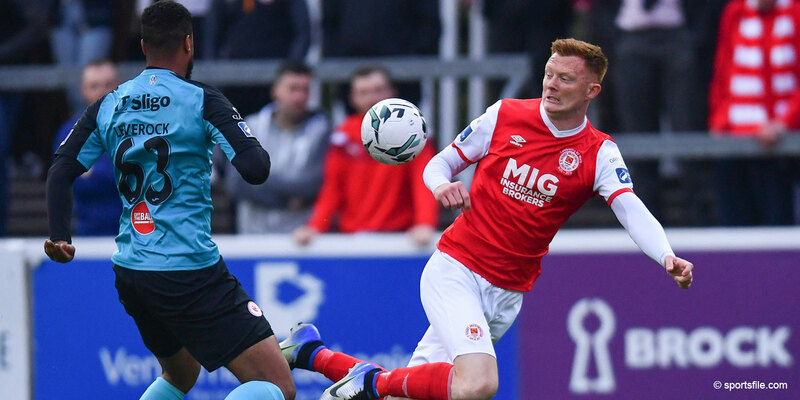 Four-goal hero Conan Byrne ensured St Patrick's Athletic title charge continued in tonight's Airtricity League Premier Division clash at Tallaght Stadium as the Saints beat nine-man Shamrock Rovers 4-0. Byrne gave the visitors an early lead, before dispatching a penalty ten minutes before half-time as Derek Foran was sent off for the Hoops. 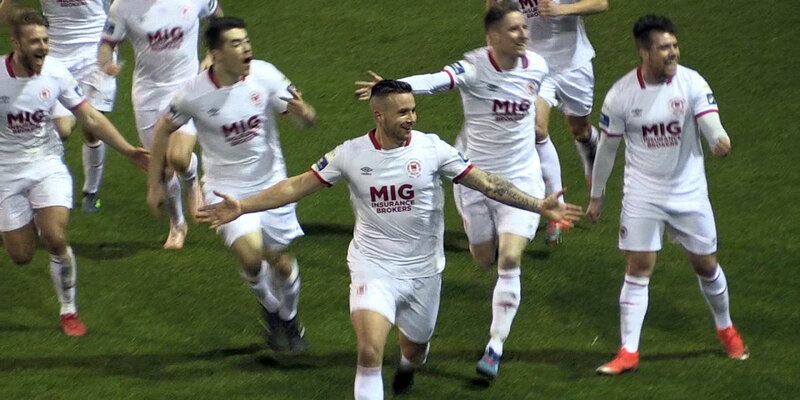 And the former Shelbourne winger added two more in the second half as the hosts lost their way, and another player, as the league leaders marched on towards the title. Rovers league challenge came unstuck last weekend but the visitors' arrived on top of the table and looked every inch the champions-elect in the opening exchanges. And their early pressure told as Byrne gave Liam Buckley's side the lead with barely five minutes on the clock. Stephen Maher appeared to barge into the back of Gary McCabe before finding Byrne who calmly slotted the ball beyond the reach of Richard Brush. Referee Anthony Buttimer was alongside play and saw nothing wrong with the challenge as Saints took the early lead. Rovers needed to respond and new signing Richie Ryan started to influence the play in midfield as The Hoops pushed forward, dominating possession. Two chances came within a minute just after the 20-minute mark as Rovers pushed for an equaliser. Sean O'Connor rose well at the back post following a superb cross by Danny Ledwith but the former Saint could not direct his header on goal. Then Ryan picked up possession on the halfway line and fed Shane Robinson running through the middle. The Rovers captain slotted a great ball to Ronan Finn on the edge of the box but some fine defending by Ian Bermingham prevented the Hoops midfielder from a clear goalscoring opportunity. 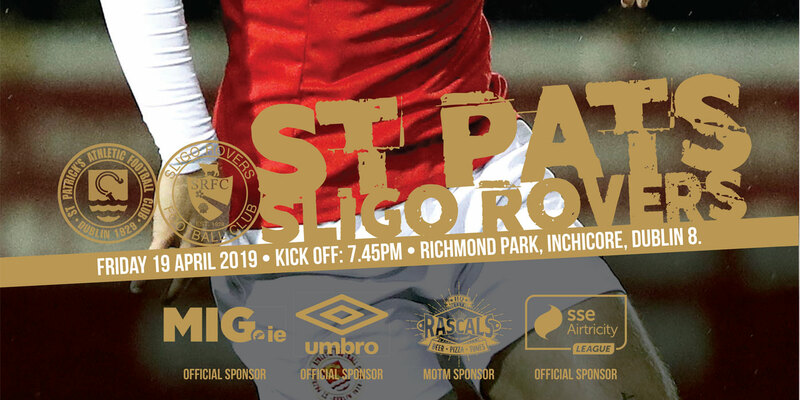 St Pat's were far from content to sit on their slender lead and again took the game to Rovers, nearly doubling their tally in the 23rd minute. Byrne raced through to beat the offside trap and again tried to pass the ball past the keeper but this time Brush was out to narrow the angle and the ball slipped by the post. Rovers had a chance to restore parity in the 32nd minute but Karl Sheppard's glancing header bounced wide. And then a moment of madness cost Rovers dearly as Derek Foran received his marching orders in the 33rd minute. The normally calm centre-half got caught in possession on the edge of the box by the hard-working Anto Flood, who moved clear on goal. Flood was about to pull the trigger when the recovering Foran appeared to nudge the striker. The shot, however, was well-hit and produced a fine save from Brush but Buttimer made another controversial decision to award the penalty and brandish a red card for Foran. Byrne made no mistake from the spot to give Saints a 2-0 lead, which they maintained without difficulty until the break. David Elebert had been brought into the centre of defence following the red card and Rovers manager Trevor Croly made another change bringing on Barry Murphy for keeper Brush. Brush was certainly not the cause of the two-goal deficit so it was probably a forced change, but the manager's half-time team talk failed to inspire his troops as the ten men continued to struggle against a well-drilled Saints outfit. Pat Sullivan, already on a yellow card, could easily have seen red for a challenge through the back of Flood and Saints were unlucky not to receive another penalty as Byrne was hacked down in the box, again Sullivan the culprit and again a poor refereeing decision. If Pat's were cruising at 2-0 against ten men, their job was made even easier in the 53rd minute as Rovers head count was reduced further as Sean O'Connor saw a straight red. Forrester rushed clear into the Rovers half as O'Connor came across to defend. The Saints midfielder pushed the ball ahead of him and there was a coming together of bodies as both players tumbled. Buttimer took little time to decide that a red was the correct call and O'Connor marched off to the jeers of the large travelling contingent. O'Connor's ban may be extended after the Rovers midfielder left the pitch with a parting shot for the Inchicore faithful. Rovers had now lost their way and so it proved from the resulting set-piece, as a clever short free found Forrester in the box. The retreating Finn stuck out a leg and another penalty was awarded. Byrne stepped up for his hat-trick and made no mistake to make it 3-0. Number four followed in 62nd minute as the Saints took full advantage of the numerical advantage and again it was Byrne who was on hand to score his fourth of the night. The towering Flood went unchallenged in the box and the striker's textbook header produced a world-class save from Murphy who got down superbly to his left. But the ball fell invitingly for the man of the match who smashed his soon-to-be-claimed matchball into the back of the net. Rovers still had a third of the game to get through and were staring at an even worse scoreline as Saints turned the game into a shooting practice routine. Substitute keeper Murphy spared Rovers further blushes with a string of saves from Flood, John Russell and Bermingham. St Pat's boss Buckley took time to acknowledge the travelling fans knowing that it was a job well done in the quest for a league title that is starting to look more and more realistic following such a professional performance.